The second Robert Jones Memorial Oration was held on Thursday 13 August 2015 at Parliament House, Brisbane. Queensland Premier, Annastacia Palaszczuk, in association with the Anti-Discrimination Commission Queensland, Spinal Injuries Australia, and the Council on the Ageing (COTA) presented the oration. Mr Maha Sinnathamby, Chairman of the Springfield Land Corporation, delivered the oration titled: Walking backwards into the future. Good evening ladies and gentlemen. Thank you for your warm welcome. Friends, I am deeply honoured and privileged to be speaking on a subject like visit-ability and equitable access. Have you ever thought of how very fortunate most of us are to be able to be in a position to help those who find themselves outside of the so called norm? We often describe them as being the less advantaged or in the current context – disabled. No-one should be viewed as disabled. Friends – President Kennedy once exited a building in New York and as he did so was confronted by a homeless and disabled man who held his hand out. Kennedy immediately took the man's hand and held it warmly. He shortly after turned to his entourage and said ‘But for an act of God that man could be me and I could be him’. Such are the fortunes of life that we could find ourselves very easily – outside of the human norm! The shortcomings that continue to prevail, In particular, when it comes to equality, which underpins the right of access. Quite strangely - in my view - our communities seem to wrestle with the concept that we all have a right to be treated with dignity and equality. But, why is it that some of us only treat others equitably when someone is looking. Ladies and gentlemen, in the eyes of our citizens and beneath the laws of this great country there must be equality between all human beings. We must ALL be treated equally in all respects. If there is already equality assured through legislation then simply that is the law and this should lead to action. To those in hot pursuit of a more equitable Australia I say ‘Stop Not until the Goal is Reached!’ which is a statement very close to my heart and my motto for living. I will be speaking more directly to that point later. First, let me acknowledge our Premier, the Honourable Anastasia Palaszczuk and I congratulate you Premier on your leadership here tonight through your support in participating in this important annual occasion. Government must lead thoughtfully and purposefully in developing our collective social conscience. Premier, you were out at Greater Springfield a few weeks ago to open Queensland's first ever state headquarters for General Electric which is the world's 8th biggest company. GE is now housed in perhaps the most advanced building in the state and one that we are proud to have designed and built dedicated it to equitable access. Tonight, I want to especially acknowledge the traditional owners of the land on which we are meeting. I pay my respects to their elders, past and present, and the elders from other communities who are here today. And I would like to dwell on the past for a moment if I may and acknowledge the earlier wisdom of those ancient communities that date back as far as 65,000 years. In pre-European settled Australia, across all of the indigenous traditional languages there was no comparable word for disability. There was no comparable word for disability. Yes, there were people living with disability. However, everyone was considered to be able bodied in some way and were valued for that ability over their disability. Friends, my Oration begins tonight with the peculiar notion of ‘Walking Backwards Towards the Future’. An inability to access and live in their own homes due to poor design. A situation that is in the not too distant future is going to affect the wider Australian population as it too ages. Edward Curr in his 1886 study called ‘The Australian Race’ noted that indigenous disabled people were seemingly intrinsic in value to the indigenous communities. In these communities, disabled people were assigned worthwhile duties according to their ability not disability. What happened? How is it that in this year of 2015 their plight for equality let alone equitable access is so different? Curr speaks of the disaster that followed particularly for disabled indigenous people with European settlement. Forced segregation even from their own communities – considered not worth employing or having value to the social capital of the community. So the article sees walking backwards into the future as describing the value derived from remembering and understanding the past, in order to best prepare for a better tomorrow, at least for current day Indigenous Australians. Ladies and gentlemen when I sat down to consider this oration, I could not help but think that there is a lesson in that for all of Australia, especially when we too consider equitable access. In fairness, it is probably accurate to assume that early indigenous homes ‘humpys’ or ‘gunyas’ as they were called, were simple yet functional structures. They did not have stairs or steps, narrow corridors and door handles that are difficult to use and the other endless barriers, including a profit driven building and construction industry to prevent or argue frivolously against the provision of across the board equitable access. The indigenous elders would have considered such structures and environments – as simply not being functional for their communities and not worthy of living in. Friends - The influence of indigenous elders on such matters has clearly long given way to the power and influence and complexity of today''s Australia. Our equivalent of elders; That is, community and industry leaders and politicians have taken a long time to arrive at consensus about the need for equality and common right of equal access, at least in principle. Galvanizing wider support and gaining legislative reform to help focus attention has become incremental and mostly voluntary when it comes to compliance. We need look no further than the sobering research and reporting who are here of Dr Margaret Ward PSM and Professor Jill Franz in their paper titled – ‘The Provision of Visitable Housing in Australia: Down to the Detail.’ published in April this year to highlight the issues. capacity to install grab rails in the toilet and shower if and when they are needed. Additions to design that can cost only a few hundred dollars in initial construction but thousands or in some cases tens of thousands in retrofit. I'd like to read the brief extract of this paper to give it justice. ‘In response to the ratification of the UN Convention of the Rights of People with Disabilities (CRPD), Australian housing industry leaders, supported by the Australian Government, committed to transform their practices voluntarily through the adoption of a national guideline, called Liveable Housing Design. They set a target in 2010 that all new housing would be visitable by 2020. That is just about 1600 days way from today. The study used eleven newly-constructed dwellings in three housing contexts in Brisbane, It sought to understand the logics-of-practice in providing, and not providing, visitable housing. What Dr Ward and Professor Franz found were by and large the most frivolous of excuses for not even attempting to plan for visit-ability access let alone meet the target date set by that agreement. Excuses, that frankly are an embarrassment. I won't repeat them friends tonight but I commend this paper to you for interesting reading and to disturb your minds into action. Ladies and Gentlemen - The detail of why the program is currently on path to failure reflects badly on many sectors and interested groups in the housing and development sectors. In 2010 a group was set up by Building Codes Queensland to canvass opportunities to increase the uptake of universal housing elements and visit-ability in new Queensland housing. Good work was done to towards supporting the national aspiration and guidelines were locally produced later by EDU to encourage minimum LHA standards to be adopted by developers in the priority development areas that they are responsible for. The guideline mandates a minimum of 10% of all dwellings to be accessible. But is this enough given our impending circumstances. Premier, when you examine how Australia's population is ageing - like many other developed nations - and then understand how the older we get the more likely we are to be disabled, the notion of equitable access and the provision of visit-ability standards takes on far more meaning for all of us. While writing this Report, I asked Ernst and Young to equip me with some additional facts and thinking for us to consider strongly this evening. And I thank them for it. As we know the new arrangements for the National Disability Insurance Scheme create a fundamental shift in the delivery of Human Services in Australia. Just under one in five people (4.2 million people or 18.5% of Australians) are identified as having a disability at the moment and will be able to access the National Disability Insurance Scheme. However, the new Scheme will not cover those over the age of 65 who are disabled. The ABS notes that from age 65 the rate of profound disability rises dramatically and with an ageing population such as that of Australia, this means a lot more people having to cope with disability. That scenario - as being experienced now widely by our indigenous brothers and sisters - spells equality of access issues going forward for Australians generally. I say this now – Prevention is better than the cure. Please think of this. While the NDIS reforms are broadly a step in the right direction for disability services, as I have already said, the scheme is not designed to provide assistance for those over 65, yet their needs don't go away as they get older; in fact they are likely to increase. This will create an unbearable pressure at both an individual and a community level if we do not address the fundamental issue of facilitating people to remain in their homes for as long as possible and this includes providing equitable access and visit-ability. In Greater Springfield, health along with education and information and technology are the fundamental interconnecting pillars that underpin our city in the making. A city to bring joy and alleviate issues that I have raised. We care for our residents, young and old. We are building Queensland's most unique health and wellness precinct. A 52 ha site that will cater for every kind of medical service. We have just signed with Aveo to deliver 2500 seniors living apartments in what is Australia's biggest ever and most unique seniors living campus where ageing in your own home and visit-ability is paramount. This includes how the streets are constructed and as well the services and recreation spaces that are designed to integrate into the rest of the city's infrastructure. These features are at the heart of this design and having a community that is actually able to visit each other within 5 minutes of each other leads to a considerable amount of communication between individuals. We assert strongly that this is invaluable to the human and social capital that we are building. Building a city and having to consider these features has meant that our focus has changed and is changing away from just being developers. What we have become and have to be in Greater Springfield is community builders, first and foremost and we believe that we are setting the example of what can be achieved by having everyone being so close to each other. The elders and youngsters living close within 5 mins. Health, defined by the World Health Organization as a state of complete physical, mental and social wellbeing, is recognised as both a fundamental human right and an important worldwide social goal. This extends to the social, emotional and cultural wellbeing of the whole community. Our shopping centres and our CBD which at 369ha is twice the size in area as the Brisbane CBD are absolutely designed around equitable access. We have 15 schools spanning both private and public (44.6% in learn) – all focussed on equitable access and this includes an indigenous Hymba Yumba – a school that teaches the national curriculum and trains indigenous children in a traditional indigenous environment. This school is at the heart of the community – among other schools private and public and more than 13,300 students of every race and creed. These students walk together and move with each other. Everyone is learning from each other about being equal Australians, no matter what your appearance is. Prevention is better than care. We are also assisting the Vedanta movement from India to establish a teaching campus for specifically teaching how to manage and care for the disabled. Vedanta's ancient teachings take into account all that is good from a commonwealth of religions from around the world. Like ancient Australian indigenous culture Vedanta preaches to value ability over disability and has formally recognised degree courses in how to care and nurture disabled people and teach the nondisabled to care for them fully. The teaching is to remove the term disabled from the hearts and minds of us all. I would like to call on all of you to think about ability OVER disability. But what about our residential developments? Our community development master-plan now in its 23rd year was declared world's best internationally in 2010 and Australia's best this year by the UDIA. But do these prestigious awards take into account the need to include visit-ability standards that I've spoken about tonight. Surprisingly perhaps the broad answer is no. Yes – at Greater Springfield as I've said we are leading the way in visit-ability in public buildings and spaces and we have our architects always offering the visit-ability options for people building their own homes. It's a voluntary path though and frankly not that many take it up. As I have demonstrated tonight, how irrational and somewhat short sighted is that given that if you were to become disabled in mobility through age or anything else you might not even be able to live in the house that you think that you have designed so well. The cost to retrofit a residential dwelling can be tens of thousands of dollars and a lot of heartache versus just potentially a few hundred dollars and a bit of forethought at the beginning. We need your help Premier to do more to help us all think and act equitably for the future. For the benefit of all Queenslanders. I suggest we come together again to form a coalition of the willing. A coalition, that can take visit-ability off the drawing board and put it permanently and purposefully into the hearts and minds of Queenslanders particularly new home builders. To begin with there must be a way forward that sees the state and local governments join with developers and builders alike to share the low cost and embracing the aspiration of ensuring the installation of visit-ability into residential homes during construction. A formula, that through the nature of its implementation changes community attitudes away from stigmatism and towards valuing having these features over not having them. A change of thinking that also reinforces equality and of wanting these features installed as part of equality. Let Queensland demonstrate that change. We want to be the one pricking the conscience of the Australia as we move forward from today. Premier –you have been courageous in your career for pursuing reform for the betterment of Queensland. Let us commit to a time line that translates to something substantial. Premier, I am prepared to assist in championing this task force and I offer the services of one of my directors to chair it. 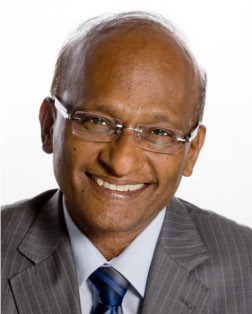 Jim Varghese AM is a former Director-General of the Departments of Main Roads, Education, Training, Employment, Primary Industries and Fisheries and is a committed and accomplished driver of reform. Together with government let's embrace all of the stakeholders to ensure that when we meet next year we can say that Queensland is leading the way in this country. Remember, what Kennedy said. But for an act of God tomorrow any of us could be the so-called disabled. And what the ABS says – if we live long enough we probably WILL be. The Conversation website: story on Indigenous ageing: walking backwards into the future. First Peoples Disability Network Australia.